Sign up today and attend one of Frank Cawley’s workshops, hosted all over the NEPA today. Frank’s workshops are free and full of useful information to help you fix your painful symptoms once and for all! 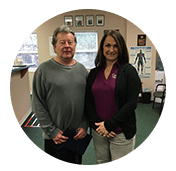 Covering everything from foot & ankle pain to your latest work injury, Frank will give you tips and treatments on how to eliminate your pain immediately! *Sign up for more details! Join Our Next Workshop Today! It's 100% FREE But Seats Are Filling Fast, So Register Now! 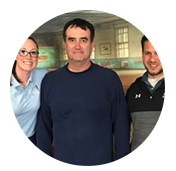 Cawley PT’s Workshops are free, interactive 30-45 minute session hosted by our owner, Frank Cawley or other Doctors of Physical Therapy. The great thing about our workshops is they allow us to bring the clinical teachings out of our office and into the community. We have hosted workshops for large and small corporate offices, manufacturing facilities, senior homes, YMCA’s, Rotary groups and private health/wellness businesses. Anyone attending the workshop will receive a free discovery visit card, which entitles them to a full 30 minute 1:1 session with one of our doctors of physical therapy to find out the exact cause of your aches/pains. Don’t miss out! WHERE? – We can host ANYWHERE! We can meet anywhere that is needed – Libraries, Corporate offices, recreation centers, senior centers. Basically any space open enough to accommodate your group will do! WHEN? – You tell us when! We will do our best to arrange a day and time that is the most advantageous for your group to attend. We have found that afternoon times that can be geared toward the “lunch and learn” concept work very well! WHY? 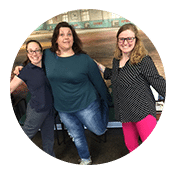 – By hosting a workshop you are letting your community, clients and employees know that you are invested in their health and wellness. You want to see them be able to enjoy coming to work, perform tasks and to be able to partake in activities they enjoy – All being pain free! 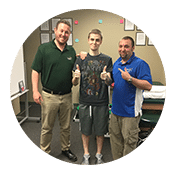 Here at Cawley, we too want to help your community, clients or employees to learn more about how their body works and ways they can naturally treat pain issues. We pride ourselves on having a locally owned business that treats everyone like family! "When I sprained my ankle, I had trouble walking because it would give out so often and wouldn't heal properly. I was worried that it wouldn't get better and I wouldn't be able to go for a run ever again. I was referred to Cawley and was very surprised with my results during my time here. I was immediately feel better and able to walk for longer periods of time just after two weeks. And now, I can finally start running again. I'm very thankful for all the help that I received." 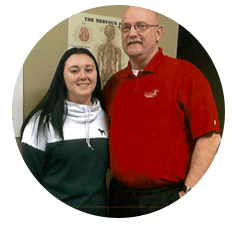 "I would like to thank Caitlyn, Justin and the staff of Cawley Physical Therapy for helping me recover from my foot surgery. When I walked in I was broken and you put me back together. I can now run and go on lengthy walks again. You knowledge, creativity and attentiveness helped bring strength, flexibility, balance and endurance to my foot. Thank you!" "This place is terrific for therapy. Heather, Caitlyn, and Kurt should be commended for the excellent job they all do. 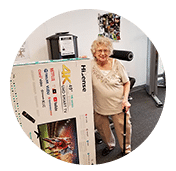 They not only got me over the pain I was experiencing, but with relaxing my muscles with exercise got me feeling much more energetic and young again!" 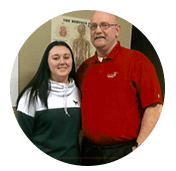 "Before I came to Cawley Physical Therapy my back and left leg killed me. I was on pain meds and my quality of life was depressing. Since having physical therapy I feel great, my mobility is excellent and no more pain meds. Thanks to the great staff at Cawley. I owe it all to them! I would recommend Cawley to all my friends and family." "I woke up one morning with memory confusion and my right side of my face was completely droopy. My son drove me directly to the hospital and they did a MRI and other tests. The doctor thought I might have had a stroke but then later diagnosed me with Bell's palsy. My doctor in the hospital recommended me to Cawley Physical Therapy.Before treatment I could not do normal tasks like laundry or even eating meals. I also suffered from terrible headaches. After the second week of therapy, I had a lot of changes in my face and even my kids noticed a difference. After receiving massage and performing the exercises for my face, after four weeks of therapy I was back to doing my normal activities and had an easier time eating! My kids were very happy with my progress. Now my face is completely back to normal thanks to Cawley Physical Therapy." "When it was suggested that physical therapy could possibly ease my back pain caused by sciatica I was very skeptical. I previously have had various attempts at therapy that were not successful. After meeting the physical therapy team in Nanticoke I was quickly wrong! 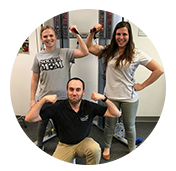 I cannot believe the phenomenal success from Jesse, Alyssa and don't forget the PT student Megan had in making my discomfort history! These professionals know exactly where and when to concentrate their therapy to eliminate my pain. They are without a doubt a fantastic team! Miracle workers!" 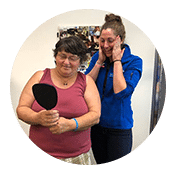 "Prior to coming here I was in a car accident and had a lot of stiffness in my neck and mid back and developed migraines on a daily basis. With the the help of the staff here I feel a lot better! I'm able to have more range of motion and able to do more of my daily living activities without the stiffness and being uncomfortable as I was prior. The staff was very kind and professional. They were very flexible with my schedule and making sure I got the treatment I needed on my time. I'm a mother of four kids and my family and I are very grateful for the staff here at Cawley's. If it wasn't for them I would not be able to be the best mom I could be to my kids. I will forever be grateful for them and the help that they gave me! I would recommend Cawley to anyone. I would like to thank Alyssa, Jesse and Sara for everything they have done for me." "It all started when another PT office scheduled me, but when I arrived they were gone for the day. I was in pain, so I quickly Googled PT offices in the area and found Cawley. I spoke with the nicest person, Lorraine, who said to come right that minute. Ever since then, every person has gone out of their way to make me feel at home and help reduce my pain level. Tim has been patient, as we had to try many things from cupping, laser, and all different exercises. Also, Anthony has personally worked with me a lot and definitely helped in making my pain manageable. I would highly recommend this place to anyone!!!!" "Before I started rehab I was having neck pain and spasms. After receiving different treatments, I had a great recovery. 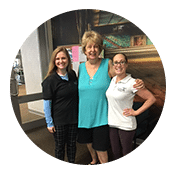 Cupping, which was a new treatment gave me great relief plus the regular threapy treatments.Thanks to a great staff for helping me feel great again."